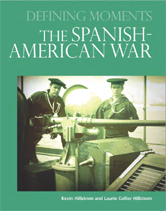 Defining Moments: The Spanish-American War presents an authoritative account of the origins and progression of the Spanish-American War. It also explores the events lasting impact on Americas political and cultural landscape. Chapter Three: The Call to Arms: Remember the Maine! The Philippine Islands Receive Their Independence.